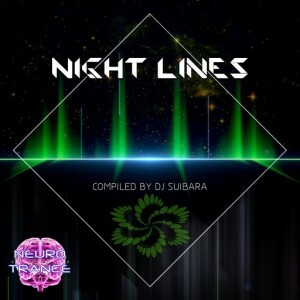 Night Lines is another solid release from Neurotrance Records, this time featuring nine energetic tracks with a distinct high-quality full-on twilight style. Compiled by Suibara, this release will blow the dance floor wide open with killer beats and big crowd-pleasing breakdowns. Mastered by Erofex with artwork by Inacio Freitas. MP3 Download | FLAC Download | WAV Download · Download count: 9,751. 5 stars only for Asterope. It´s a trip in a extremly another dimenson! its so nice! 5 Stars for thid album! Thanks for the positive comments, go ahead! Asterope and Spookyhertz.. Psychedelic makers!! Manitou good Bass Line Psychedelic Inovation ! !